Just minutes from downtown is a place where dreams take flight! 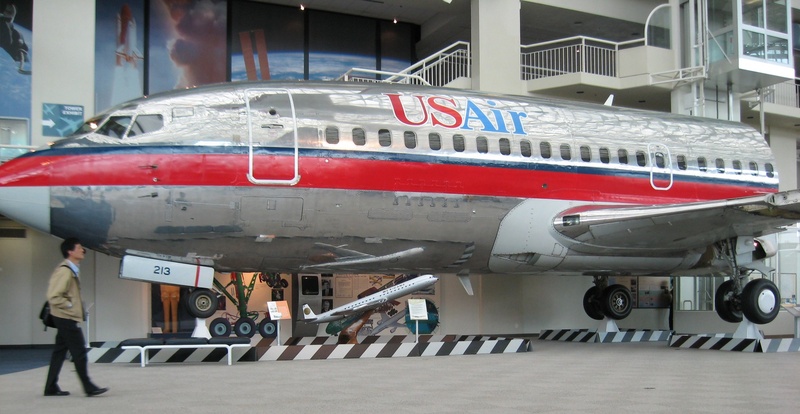 Here are just a few of the cool things you can check out at the Museum of Flight! Celebrating 100 years, The Boeing Centennial Exhibit is the largest display of Boeing planes and artifacts in the world. Visitors can see many of Boeing’s most significant planes- including the 1930’s P-12 Fighter, Boeing Heritage aircraft (like the World War II P-51 Mustang) and the featured attraction- a replica of a 1930s Boeing P-26, America’s first all-metal fighter aircraft. As part of the Centennial Celebration, this March (barring any unforeseen schedule changes), Boeing’s first historic 727 will make its final flight from Everett to Seattle. The voyage which has been over 25 years in the making, will land the 727 at its permanent home at the museum. You can own a piece of this historic flight by purchasing an embroidered patch, postal cover or scale model 727- all of which will be carried on this final flight. Purchase your piece of history here or at the museum. Have you ever wondered what it’s like to fly as the Commander in Chief? Check it out on SAM (Special Air Missions) 970, known as Air Force One when the President was aboard. This high-speed jet is a “flying Oval Office” that gave the president the opportunity to receive classified information and speak with world leaders face to face. The SAM 970 on display for walk-throughs at The Museum of Flight has carried presidents Eisenhower, Kennedy, Johnson and Nixon. Check out this 737’s cockpit, kick back and enjoy an in-flight (albeit on the ground) viewing of Time Flies: A Century of Flight. Seattle’s Museum of Flight invites you to “Have a Blast with Model Rocketry” an exhibit which was developed in partnership with the National Association of Rocketry. This collection of artifacts dives is an exploration of rockets, and the impact that model rocketry has had in shaping the lives of youth ever since. The introduction of space travel in the 1950s sparked the interest of many young minds, which led to an increase in model rocketry. Check it all out at this cool temporary exhibit. While you’re checking out the tiny rockets, make sure you stop in to J. Elroy McCaw Personal Courage Wing to check out the Holtgrewe WWII Model Collection. During World War II, H. Logan Holtgrewe became very interested in the different types of aircraft in this short but prolific period of airplane production. In 1990 he began to accumulate kids of World War II planes, and it eventually led to this massive collection of over 400 models, most likely the most complete of its kind. The Museum of Flight is open 7 days a week from 10am to 5pm. Learn more, and purchase tickets here.